Who doesn’t love a good, powerful, buzzing energy kick from a pre workout. When you’ve had a long day at work with little to no motivation to train, that powerful hit from the stimulants in your pre workout are exactly what you need to get you into the gym or onto the field and demolishing that workout. With trainers looking for higher stim products, several companies have answered that call and have produced products that not only support endurance, pump and strength, but also offers plenty of energy. Here is a quick guide to some of the strongest pre workouts available on the market in 2016. 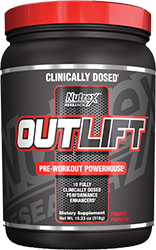 With a whopping 350mg of caffeine per serve, Nutrex’s well dosed pre workout is not for beginners. If you want a serious energy kick, this is going to give you that and more. The rest of the formulation is also well dosed with popular ingredients such as beta alanine and citrulline just to name a few. As one of the best pre workouts in 2016, Outlift is also one of the strongest and is the go-to product for trainers looking for a step up from their normal pre workout. 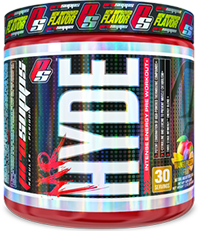 Always the reliable pre workout, Mr Hyde has been around for awhile, but is still one of the best pre workouts available. Packed with more caffeine and stimulants than you can poke a stick at, Mr Hyde was specially designed for long lasting energy without the crash. Work out for an hour, two hours, three hours and still have plenty left in the tank for some extra cardio. Mr Hyde is like the Energizer bunny of pre workouts and will definitely kick your workout intensity up a notch. 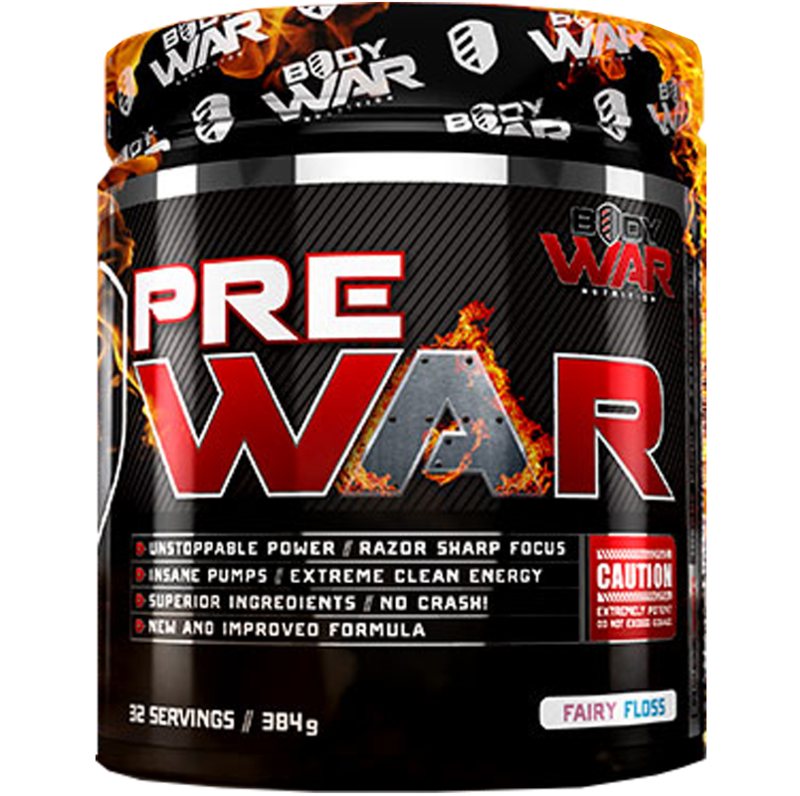 Recently reformulated, Body War Pre War is still incredibly strong and is a mighty contender for the prize of strongest pre workout. Pre War is transparently dosed with plenty of excellent ingredients such as beta alanine, betaine, agmatine, citrulline, bitter orange extract and picamilon along with the added caffeine. Each serving of Body War Pre War contains at least 300mg of caffeine, and this is not counting the synephrine – the active stimulant and compound of bitter orange extract. The new Pre War is an excellent pre workout and should please trainers of all levels. 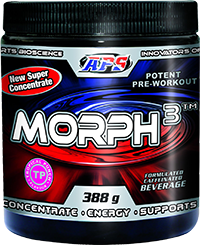 Morph 3 may be a relatively new pre workout on the block, but it’s definitely taken over the reins of Mesomorph. With caffeine, eria jarensis and bitter orange extract as its main stimulants, Morph 3 includes some cocoa extract which provides the faster acting theobromine. Get set for a powerful energy, focus and motivation boost with each serve of Morph 3. Power through your workouts with a laser like determination and get ready to lift more and ramp up the intensity. 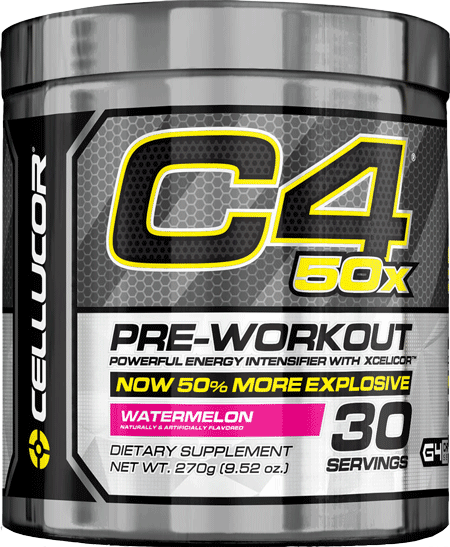 Cellucor’s new range of C4 inspired supplements has something for everyone. For the person who wants more stims, the C4 50X is the version for you. With 50% more of the key active ingredients, this new pre workout ups the ante when it comes to energy and focus. It’s basically regular C4 but jacked up. If you’re a trainer who loves the original, but feel as though you’ve advanced from their formulation, the 50X version is the next step up. If energy is what you’re after in 2016, the above choices are your best bets. Not only that though, each of the above supplements have focused their energies on providing a supplement that will also boost concentration, mood and motivation. For other excellent pre workouts on the market, be sure to read our Top 10 Best Pre Workouts of 2016 article.